Participants in every special event expect a lot about how to get unforgettable moments and learn something new. They wish to enjoy their life in different aspects and participate in events specialized in the food. Devotees of food tour nowadays have explored and enjoyed a variety of food and beverage items beyond their imaginations. On the other hand, they get ever-increasing curiosity to explore the new and exclusive food and wine items presented by well experienced and committed chefs. They focus on the latest updates of food and wine festival news on online with an aim to adjust their schedule and participate in such festival as enjoyable as possible. Los Cabos is a renowned municipality in Baja California Peninsula of California. All travelers to the Mexico in our time are happy to visit this municipality and do entertaining things. They are willing to be aware of latest news about food and wine related events in this region. This is because they know that Sabo a Cabo is organized here with an aim to promote the local gastronomy and give 100% satisfaction to everyone participating in this event. A good combination of food, wine and music makes this event successful and famous throughout the world. Qualified and committed restaurateurs and entrepreneurs in this municipality made a very successful gastronomic festival every year. Every leading supplier of the best Mexican wine brands is participated in this event. Everyone who participates in this festival can get more than expected collection of wine items and recipes from popular wine suppliers and successful chefs. If you are a beginner to the food tour and searching for easy-to-follow guidelines to enhance every aspect of such tour, then you can contact and discuss with experts in the food tour right now. All travelers in particular adults who travel to Los Cabos in Mexico nowadays are eager to sip the wine and spirits in all the possible ways. They can visit Los Cabos and use every opportunity to learn about the cuisine, culture and history throughout their tourism. They feel comfortable to meet locals and other travelers in relaxed settings like restaurant tables, tasting rooms, hotel bars and other places. They can directly focus on and use facilities to taste their favorite wines as long as they stay here. Tourists in Los Cabos have the good fortune to enjoy the food and wine. They are amazed about the overall tastes and distinctive flavors of Mexican wines, spirits and beers. They can sip the mezcals, tequilas and other local cocktails such as a unique flavor of the Margaritas. They will be happy when they sample the first-class wines of the Guadalupe Valley and understand how these wines complement Mexican cuisine. Men and women seek something special every time they visit popular travel destinations and taste different flavors of food and wine. They can take note of the latest food and wine tour experiences shared by tourists in Los Cabos in Mexico and get an overview about how to realize their dream about the enjoyable travel experiences. They have to decide on the budget and ensure about the schedule to visit tourist places and participate in festivals specially organized for satisfying every participant by offering the most delicious wines and food items. The finest chefs in the world in recent times concentrate on how to enhance their approach to participate in the Sabor a Cabo festival in Los Cabos. There is a top-tier selection of well experienced chefs in the culinary world. 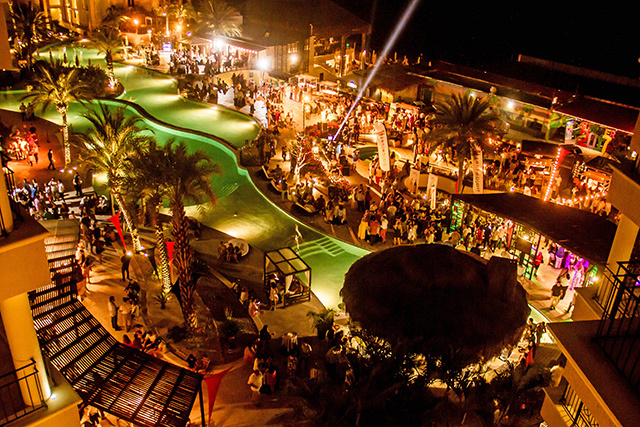 Sabor a Cabo is the flavors of cabo and the world-famous food and wine festival. Many men and women have loads of expectations about this gastronomic event and decided to book tickets in advance. They can contact experts in this sector and start their step to be aware of how they can attend this exclusive festival. The foremost attractions of this festival are the wines of Baja wine region celebrated greatly in Mexico and regional cuisine of Baja California Sur. Every guest in these delicious festivities throughout the week gets memorable experiences and enjoys a lot from unusual yet delectable flavors of wines and yummy foods prepared and served by successful wine suppliers and top chefs. If you love country side food items and wine varieties these days, then you can visit Los Cabos in the upcoming holidays. You do not fail to get more than expected collection of food as well as wine items ready to taste in the food tour and special events such as Sabor a Cabo. Business travelers and tourists in Mexico these days are keen to visit Los Cabos and get 100% satisfaction from tasting wines and food varieties. They fall in love with the local flavors of Baja and a gourmet dinner. They explore the local art, music, wine, cuisine and other facilities designed to keep everyone amused and happy. They take photos and videos whenever they look at attractive things and special live moments in festivals and special events. They taste yummy course meals prepared by successful chefs. They visit renowned restaurants and focus on facilities to fulfil their expectations about wines and food items accessible within the budget. You may search for a booming and rich culinary in Los Cabos in recent times. You can read unbiased reviews of popular restaurants and testimonials from participants in food festivals right now. Once you have directly accessed the official website of the organizer of the wine festival and wine tour package provider recommended by satisfied customers, you can get the absolute guidance. You can make an informed decision to directly plan your tourism in Los Cabos and fulfil expectations about the easiest way to enjoy your days and nights in this municipality. You can visit Los Cabos along with your beloved kith and kin for exploring travel destinations and enjoying the food and wine festivals. Los Cabos can offer really the best delicious and fresh foods and a variety of wines.